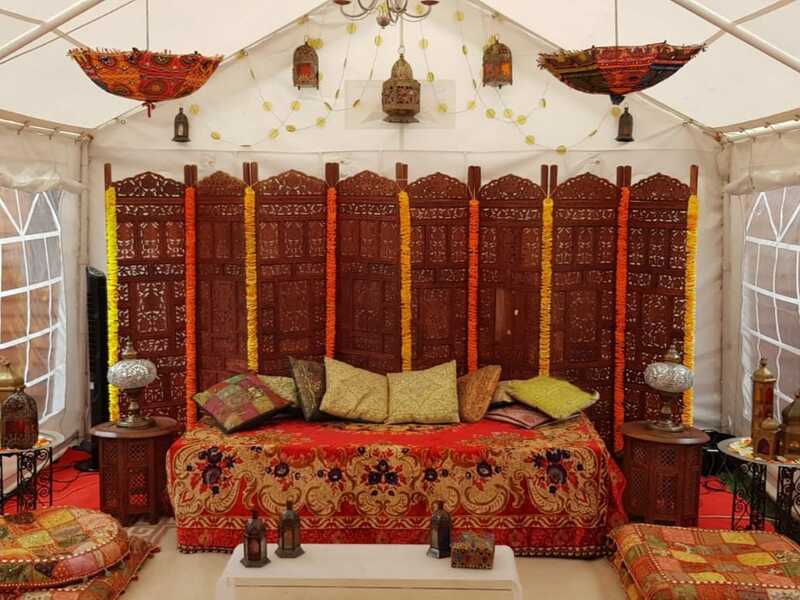 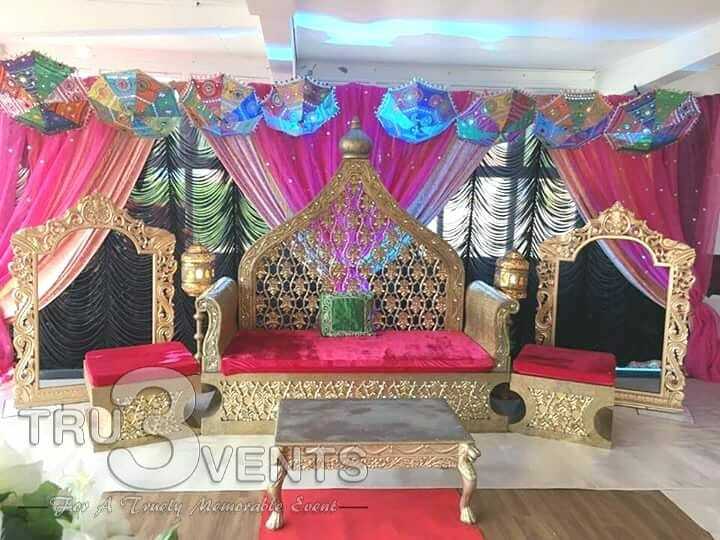 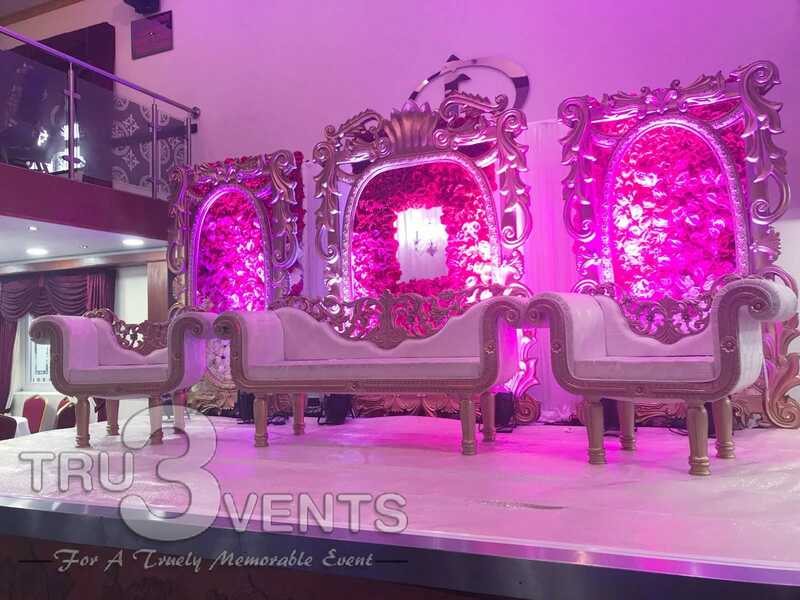 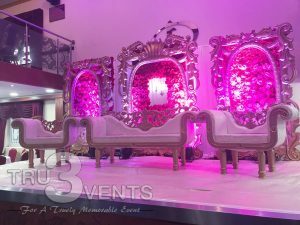 We here at Tru3 Events offer a wide selection of wedding and mehndi stages to compliment your special day. 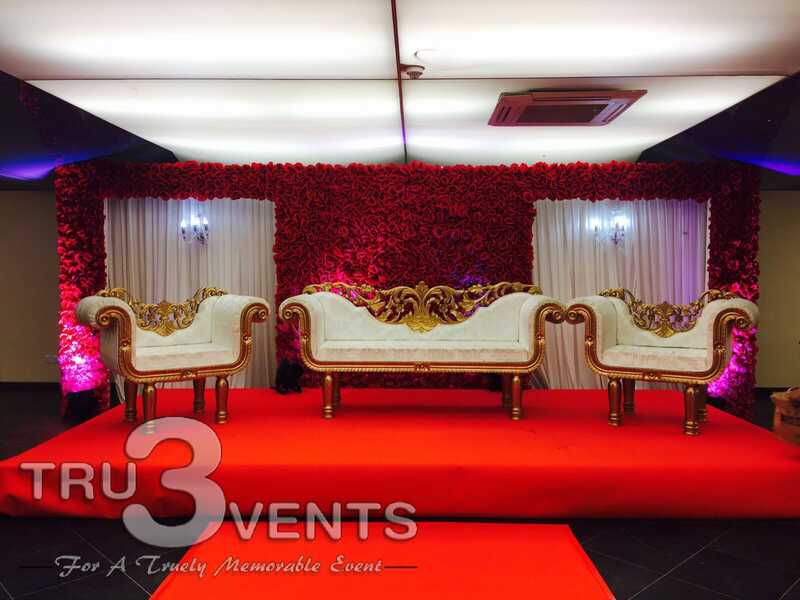 You are invited to choose from our portfolio of varying designs of elegant sofas and chairs. 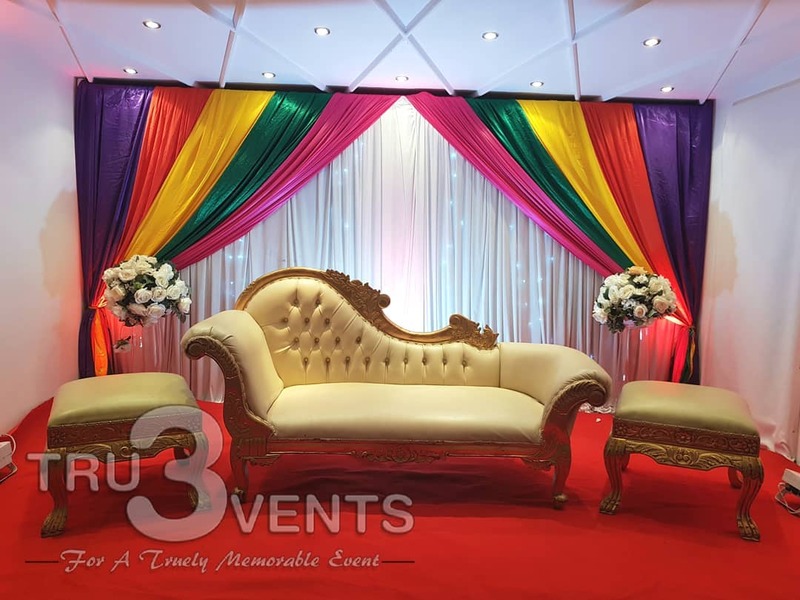 We will work alongside you to discuss your individual preferences and then offer our expertise in conceptualising your ideas and turning them into reality. 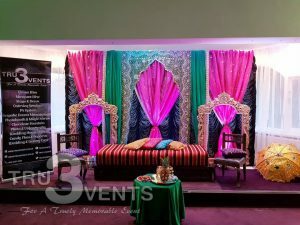 We often use a variety of materials and props to make your mehndi or wedding day a memorable occasion. 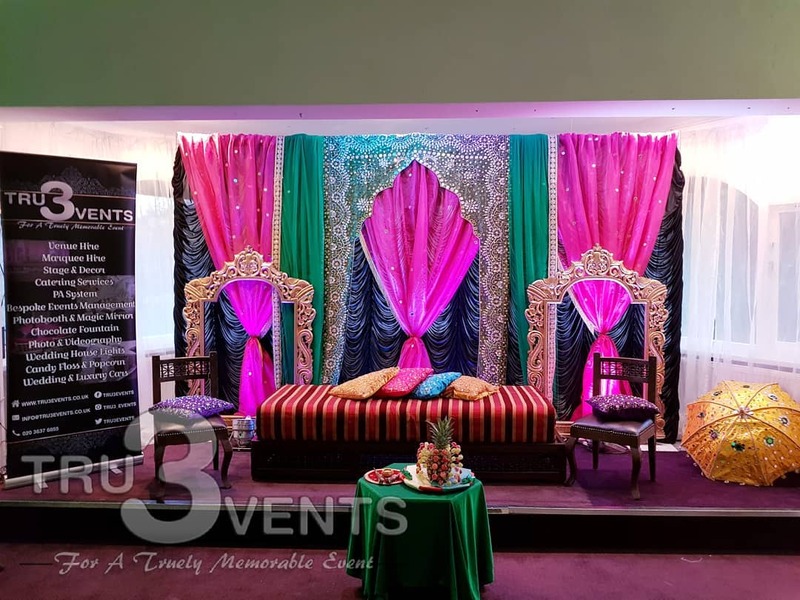 Our professional motivated team, who are attentive to your every detail, will individually tailor your theme whilst at the same time adhere to your budget requirements. Please see below for just some of the services we have to offer!